The Dunlop Juice 1.26mm tennis string set has a length of 12m (39.4ft) that enables you to re-string one racket. The string is made from high tensile, mono-filament polyester that delivers an electrifying power. It also features a pentagonal profile which helps achieve an excellent spin helping to grip the ball. 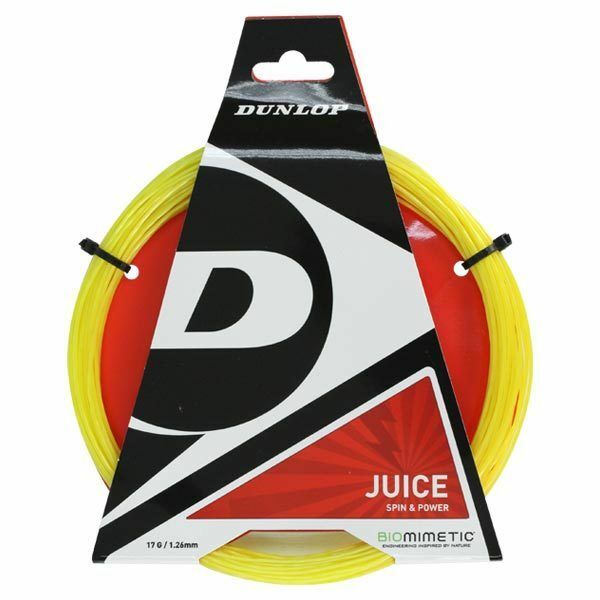 The Dunlop Juice has a gauge of 17 (1.26mm) and is available in a yellow colour. for submitting product review about Dunlop Juice 1.26mm Tennis String Set.